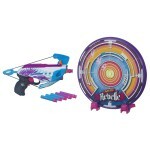 You are here: Home / online shopping / Nerf Rebelle Pink Crush Blaster only $7.99! So cute! Get this Nerf Rebelle Pink Crush Blaster for just $7.99! 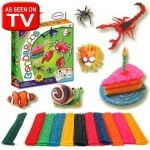 Every time the price drops on this, it sells out quickly, so grab it while you can! Who says you can’t look fabulous while you launch a sneak attack? Arm yourself with the stylish power of the Pink Crush blaster. 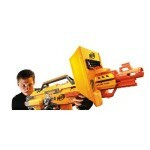 The blaster can hurl darts at targets up to 75 feet away. When the action calls for it, convert your blaster to a crossbow with the included crossbow arm. You can team up with a friend or go it alone, but either way you’re armed for action with the Pink Crush blaster. 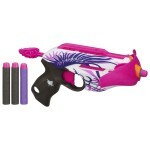 Nerf Rebelle Pink Crush Blaster only $6.99! 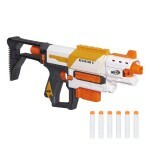 Nerf Modulus Recon MKII Blaster only $18.75! 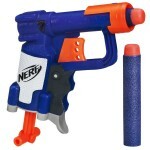 Nerf Gun Deals starting at $5.83! NERF Flash Sale: Save up to 60% off today only!